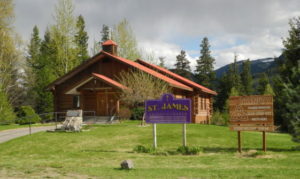 Having sold the Clearwater United Church building in the late 1990s, the congregation worships at St. James’ Catholic Parish. Our Sunday service begins at 9 am. 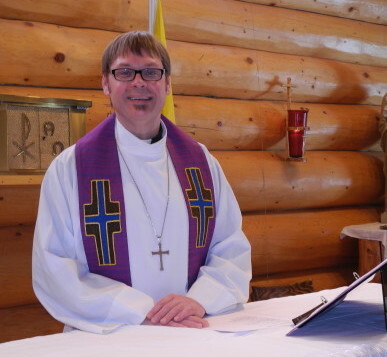 When the Church of St Paul came into being in 2010, the Clearwater United Church congregation began its wondering of whether it, too, should become an ecumenical shared ministry. The wonderings became discussion, which led to the formation of a committee that reported in the fall of 2013. That led to a North Thompson Pastoral Charge committee that developed a draft agreement and congregational bylaws. After input from the congregations and the three denominations, an agreement and bylaws were approved by all. Our new identifying banner is hung for the first time on September 24, 2015 when Clearwater United Church became Trinity Shared Ministry. 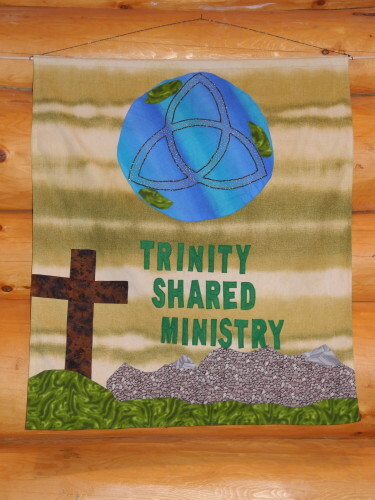 In the late afternoon of September 24, 2015, when the North Thompson Ecumenical Shared Ministry Agreement was signed, Clearwater United Church ceased to exist, and its ministry and that of the Anglican and Lutheran traditions in the Clearwater area was entrusted to Trinity Shared Ministry, Clearwater. On the first and third Sundays of the month, we usually celebrate communion and have a time of food and fellowship after the service. Rev. Brian Krushel stands behind the communion table during his first year in Clearwater. Voices United Choir (Christmas Cantata) – a community choir sponsored by the United Church and a gift to the North Thompson Valley of the Christmas Story told in word and song! An amazing presentation every year! The congregation updated its congregational goal in February 2019. The new goal is still based on Micah 6: 8. To be aware of the power of the Holy Spirit working through us when we endeavour to seek justice, to love kindness, and to walk humbly with God. We are challenging ourselves to think on this as we live our week and share our joys and concerns.